The Galacticat by is yet another brilliantly done masterpiece by the glass wizards at Empire Glassworks. Inspired by the Cheshire Cat and equipped with eyes made from UV reactive borosilicate glass that will glow under black light, this cute hand pipe is bound to hypnotize you with one glance. 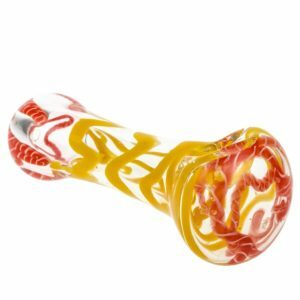 The beautifully finished portable hand pipe functions as a steamroller and has a carb hole on the front of the bowl for snappy hits that will definitely send you flying into space in no time. 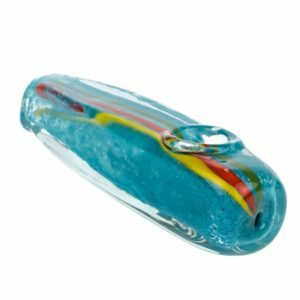 The amazing colors and attention to detail will make this characteristic and collectable hand pipe stand out in any glass collection. The unique design of this steamroller pipe allows it to stand in an upwards position on its stable feet to prevent it rolling off any flat surface. 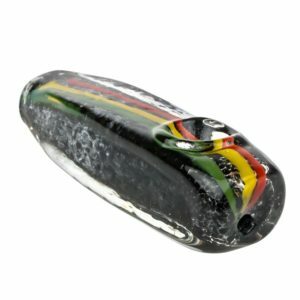 To use the pipe, simply load your favorite dry herb or tobacco mix into the bowl located on the rear. Place your lips on the mouthpiece located on the cat’s head and ignite! This solid, portable pocket-size pipe is easy to clean and use making it the purrfect choice for herb smokers who just want a quick hassle free hit on the go. 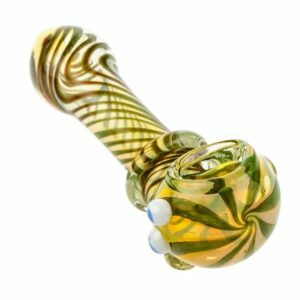 Because each piece is individually handmade by the glass artists at Empire Glasswork, the Galacticat pipe you receive will be one-of-a-kind. The exact shape may vary slightly from the pipe in the photo but the overall design will be the same. 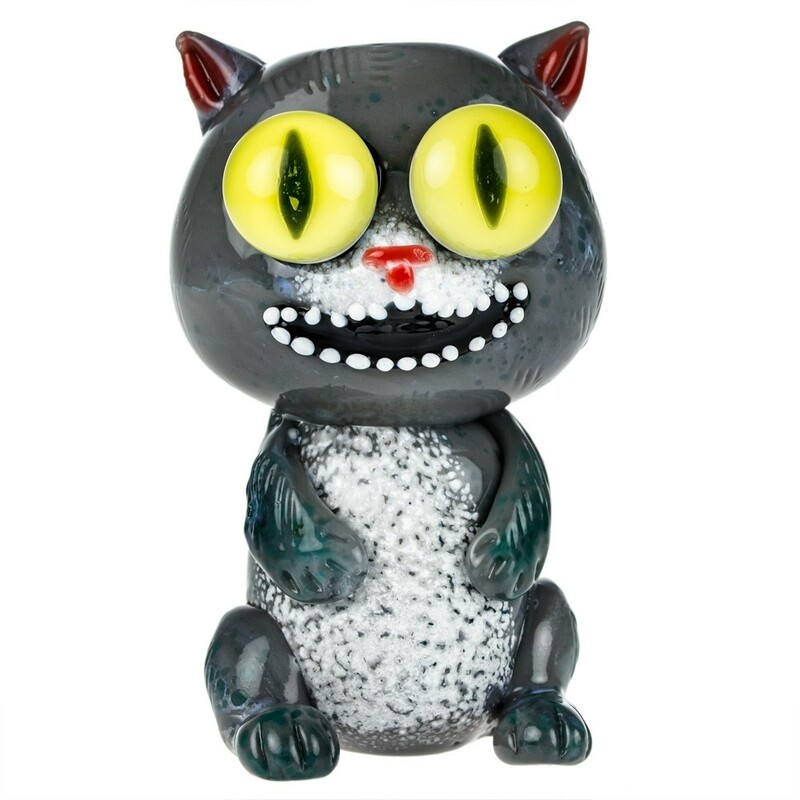 At Empire Glassworks they like to keep things fresh and exciting, which means each design will only be available for a short period before they move on to the next new concept, so get your hands on the Galacticat before it is too late!